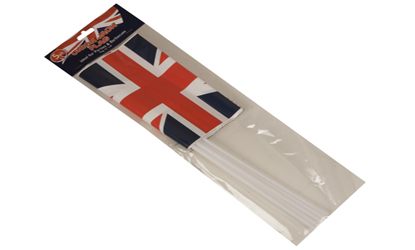 Celebrate the Olympics, Queen`s Jubilee or the European Cup this year waving these flags. Great to add those finishing touches to your street party or BBQ, or alternatively take them with you to support your events! Each flag has the Union Jack print. Approximate flag size: 12" x 8"
Each pack contains 5 flags.